Idun (pronounced “EE-done;” from Old Norse Iðunn, “The Rejuvenating One”, “She who renews”) was a figure in Norse mythology. She was the goddess of spring or rejuvenation, the keeper of the magic apples of immortality which the gods would eat to preserve their eternal youth and beauty. The Idun Lift™ represents Dr. Vuich’s unique approach to full facial rejuvenation, utilizing a combination of Customized Thread Lifting, Platelet Rich Plasma, and Dermal Filler to reverse the signs of aging, while maintaining a natural and aesthetically pleasing result. This is an aesthetic expert’s artistic expression, using minimally invasive techniques to achieve a soft, non surgical lift and improve the health of facial tissues in the process. 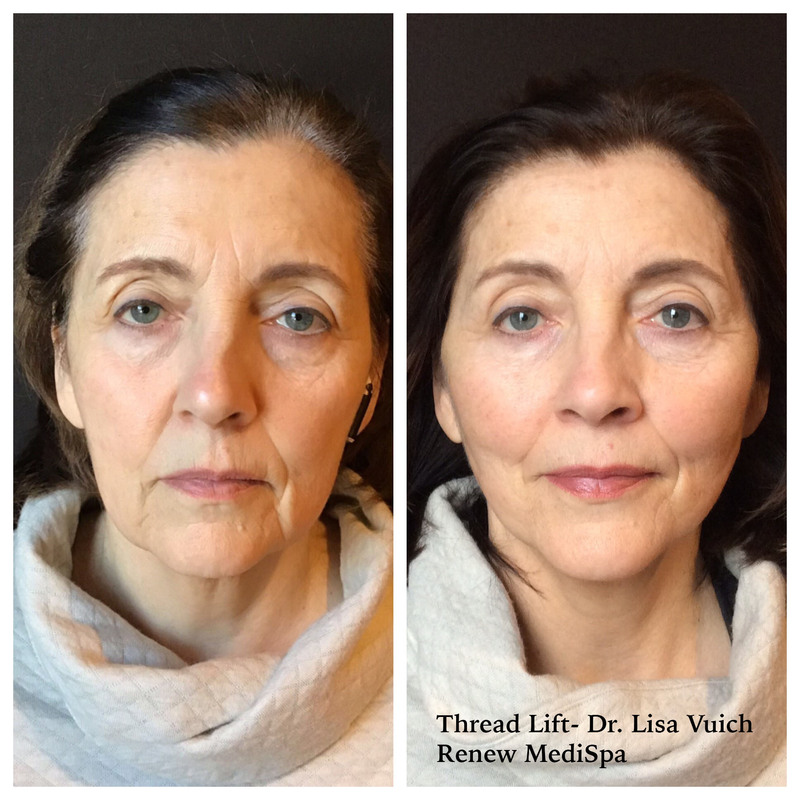 Dr. Vuich has been performing Thread Lifts since 2016 when she trained in London, England. 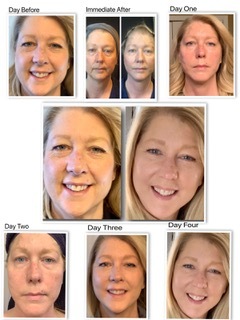 Subsequently she has attended multiple Master level courses, and more recently has added Korean Thread Lifting technique which deliver some of the most impressive lifts seen. Nasolabial folds, jowls, necks and brows can all be lifted using this type of technique alone and in combination with volume if needed (Dermal filler or Sculptra®) and Platelet Rich Plasma for collagen stimulation and smoothing effects. No two Idun Lifts are the same. Dr. Vuich assesses the correction needed and plans the procedure designed to produce the most aesthetically pleasing and natural looking rejuvenation. How is the Idun Lift™ different from Thread Lifting? The Idun Lift™ is a combination procedure, employing Absorbable Threads or sutures/”Thread Lifting” in combination with Platelet Rich Plasma and Dermal Filler (any brand can be used) or Sculptra® if needed- all of which are placed in a customized fashion based on each client’s aesthetic needs. Thread Lifting, like Dermal Filler injection, is an art. It is an advanced technique which should only be performed by aesthetic experts with an appropriate medical degree who have a comprehensive understanding of facial anatomy and appropriate training in the technique. 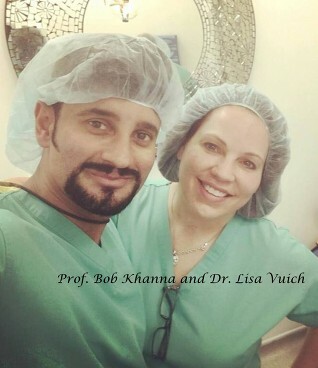 Dr. Vuich trained in Thread Lifting and Advanced Dermal Filler techniques in the United Kingdom with Prof. Bob Khanna, a leader in the field of Facial Aesthetics and the President and Founder of the IAAFA (International Academy of Advanced Facial Aesthetics). 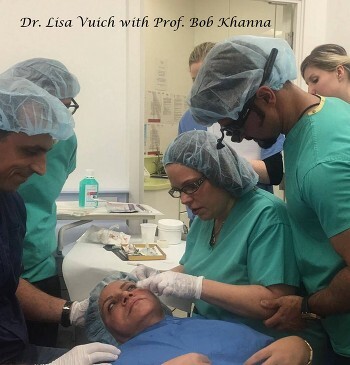 He is an internationally renowned lecturer and instructor and is one of the Clinical Directors of the Facial Aesthetics Masterclass at the Royal College of Surgeons. He teaches elite aesthetic professionals from around the world to deliver procedures with techniques that maximize both outcome and safety. She also trained in the United States through the AIAM- American Institute of Aesthetic Medicine, and in 2018 she attended a Master Training in Korean Thread Lifting technique. 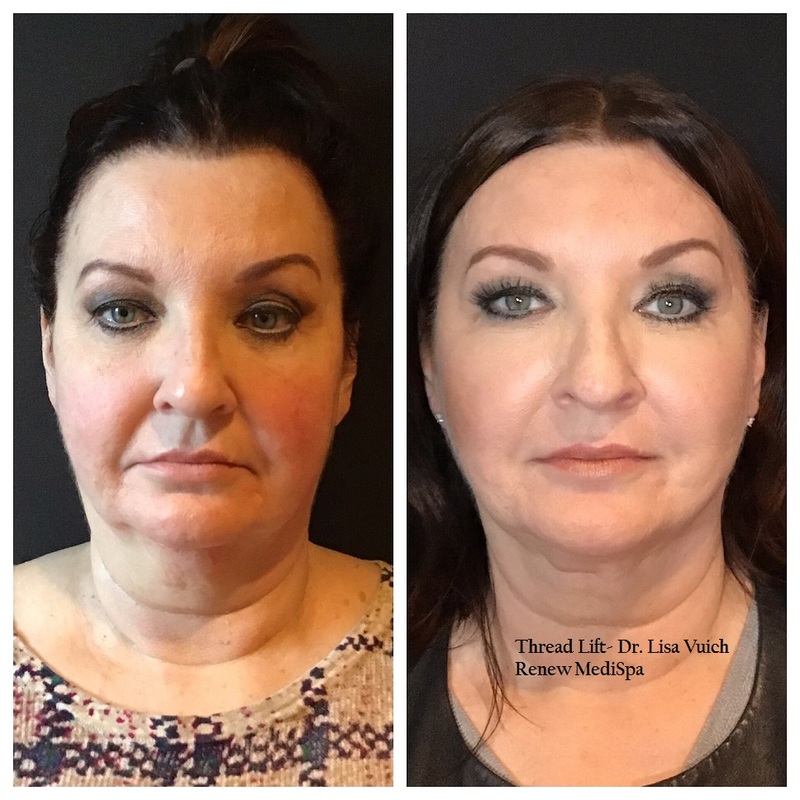 Dr. Vuich is now a Thread Lift trainer as well, available to teach others the art of this non surgical lift in small groups and preceptorships. Do I have to have Dermal Filler to have the Idun Lift? Most clients who seek thread lifting can benefit from the volume of a syringe of Dermal Filler or a vial of Sculptra®. For those who prefer not to have other injectables, additional PRP or threads can be substituted. As with any minimally invasive procedure, bruising is always a possibility. You should also expect temporary swelling due to the volume of the platelet rich plasma and the minor edema that occurs with the placement of threads and filler. 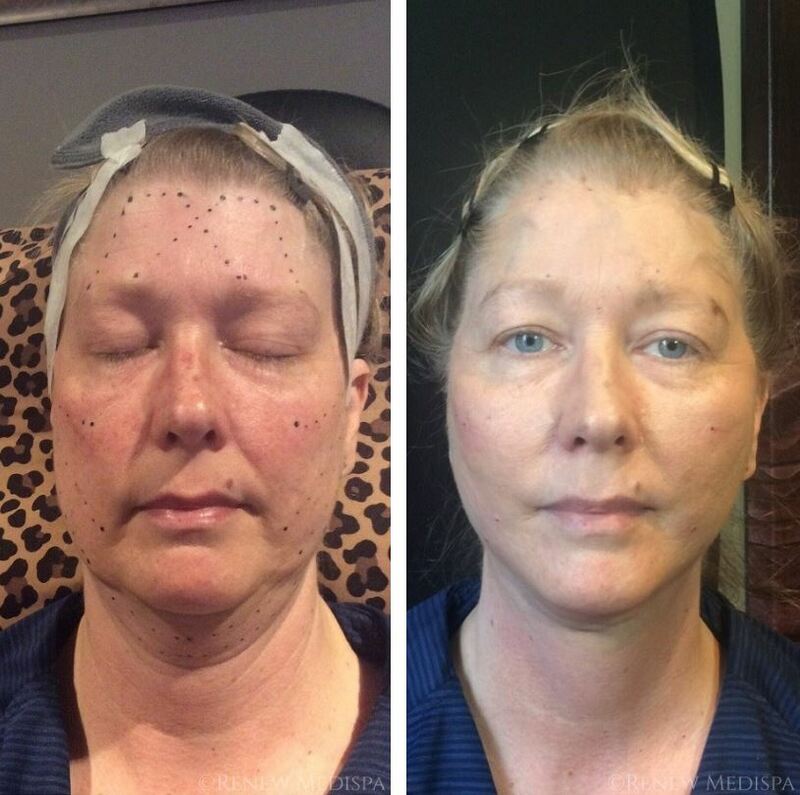 For most clients, swelling resolves over 24 to 72 hours. To minimize bruising, avoid aspirin containing products and anti-inflammatory meds (motrin, aleve, naprosyn, etc…) for 2 weeks prior. Vitamin E and Fish oil supplements should be stopped 5 days prior. We recommend relative rest for 2 to 3 days. Avoid aggressive exercise until healing is complete, and do not massage the areas. Additional recommendations are discussed at the time of your consult or procedure. Age, genetics and environmental factors will dictate your personal rate of collagen loss. 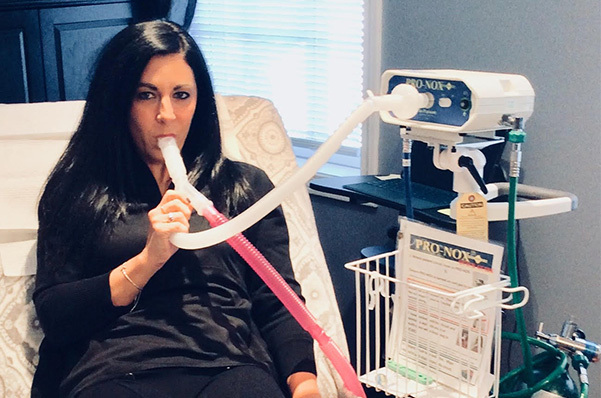 Most clients will look to touch up this procedure every 1 to 2 years. Although the threads dissolve slowly, the collagen that forms around them while they are there will typically last much longer. Who cannot have the Idun Lift™? The contraindications to this procedure are generally the same as those for dermal filler. The procedure should not be done if there is active infection in the area to be treated, or if expectations are unrealistic. It should not be done if there is impaired wound healing (uncontrolled diabetes, malignancy, chemotherapy for example). It is “relatively contraindicated” for those on strong blood thinners such as coumadin, Plavix and the like- in these instances there is an understanding of the increased risk of bleeding and bruising, and if there is an informed decision to proceed we may elect to perform the procedure in “sections” over a longer time period and with prior approval of the client’s primary care physician. 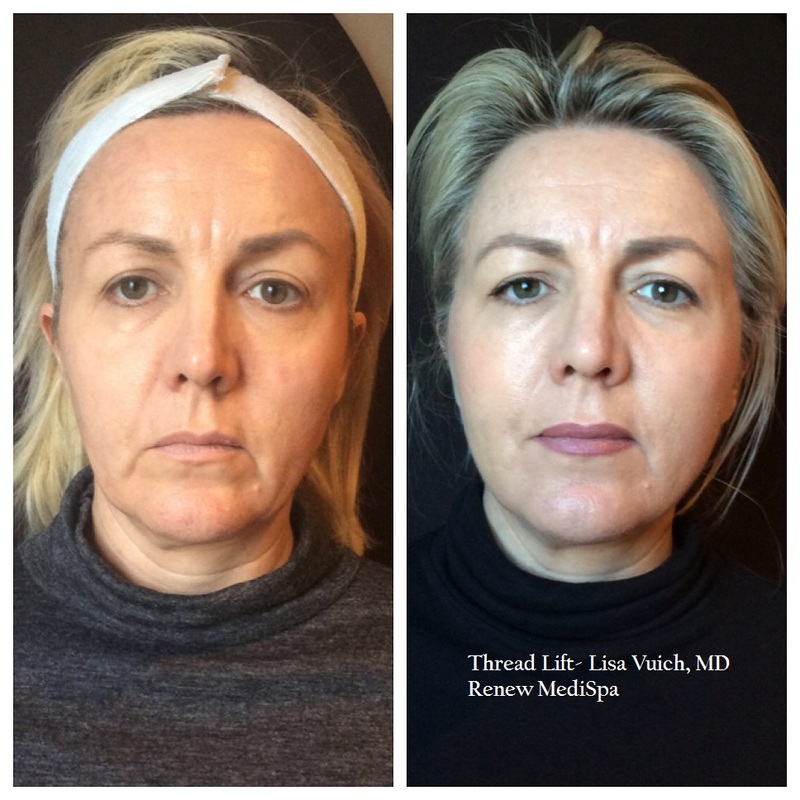 Thread lifting is not the equivalent of a surgical facelift. Be sure to discuss your needs and expectations thoroughly with Dr. Vuich to best determine if this is the best option for you. If you’re interested in learning more about our Idun Lift™ Procedure, call us today to schedule your appointment.